While most teenagers were just starting to figure out the complexities of life, 13-year-old Kwang Kam Shing was already clear about her life path: she wanted to leave her home in Hong Kong and explore the world. “My parents were always very strict with me. My school was only five minutes’ walk away from my house, so I had felt very confined. When I had the opportunity to leave home, I knew it was the best thing that could happen to me,” Kwang recalls. That opportunity came knocking in the form of a full scholarship from the Ministry of Education in Singapore. As the saying goes, “fortune favours the brave”, so one could say that it was that sort of curiosity and boldness that has guided Kwang to a highly successful finance career spanning nearly three decades. 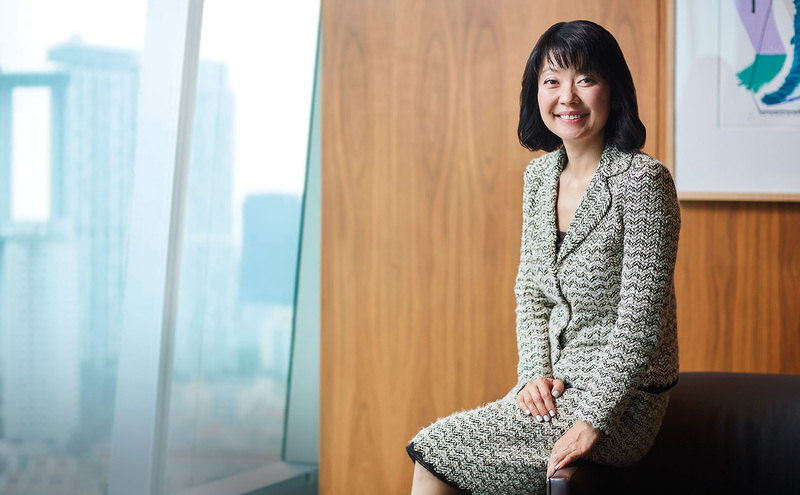 Throughout this time, she has taken on key leadership positions at United Overseas Bank, HSBC Asset Management, and now JP Morgan Private Banking. In person and up close, she is a picture of humility and quiet confidence. In between striking poses for the camera, the soft-spoken mother of two daughters shares that she had never set out to become a business leader. “I remember when I was in university, some of my friends had ambitions to become company directors. For me, I never thought that far ahead. It was always about focusing on what was in front of me,” says Kwang. After graduating from the National University of Singapore with a degree in accountancy, Kwang took on a role with the now-defunct Arthur Andersen for a couple of years. Kwang admits she was mostly driven by the appeal of financial stability in those early days of her career. “I wanted to have a profession where I could make a decent living,” she says. But when she decided to join the banking industry, it was on the notion that it would be more exciting than the monotony of accountancy. 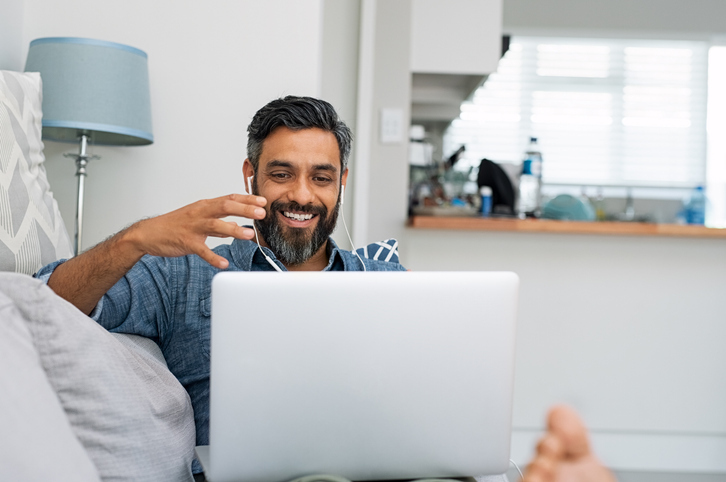 That excitement, however, soon gave way to distress, as Kwang realised that the role of a portfolio manager involved a lot more than just investments and numbers. “It was daunting initially. It wasn’t the most natural thing for me, having to meet with clients, and explaining investment, risk and return in more layman terms,” she recalls. All these experiences have helped shape Kwang both as a person, and now as the regional head of one of the world’s most renowned financial institutions. She recounts a specific incident in secondary school where she learned that “it’s okay not to be the best”. “There was a physics test. I got my results and I scored 87 marks – not too bad. Then I found out the top girl received 98 marks. “I was really upset at first, but that episode taught me that there are people who will always do better than you,” says Kwang. And now as CEO, Kwang says she’s able to accept failures and imperfections – a trait she believes is necessary for success, especially as a woman in business. 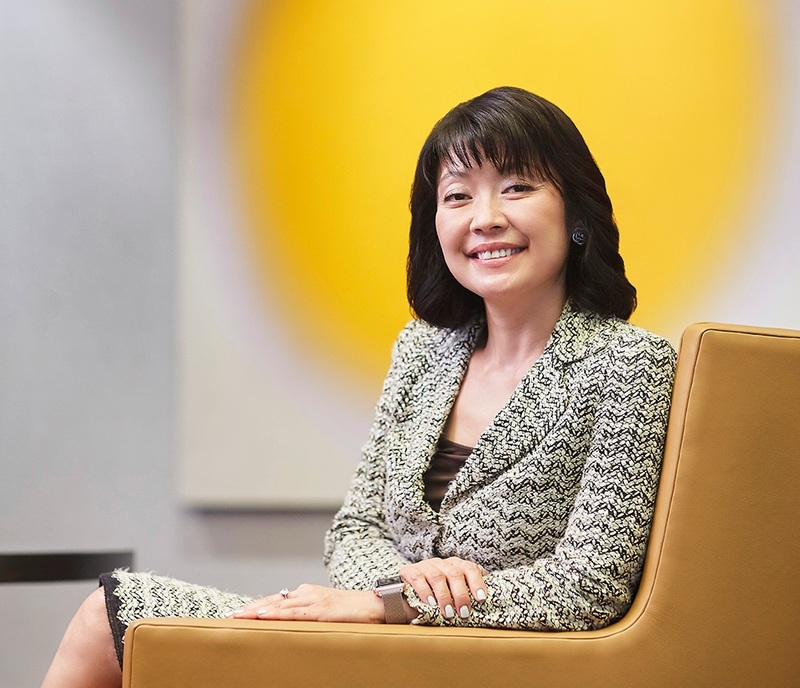 At a time when female representation in senior leadership positions is still a work in progress for many organisations, Kwang’s accomplishments remain the exception, rather than the rule. Kwang has been aware of this all along. As a wife, mother, and business leader, she understands the challenges women face in striking a balance between their families and careers. She says this is where women have to accept that they cannot always do everything alone, if they want to have a successful career and home life. Now, Kwang tries to empower other women in her organisation by allowing them to utilise flexible working arrangements, though she admits the bank still has more room for improvement when it comes to family-friendly policies. “I know how a working mother feels, and the challenges they face. I think being able to put yourself in their shoes, and having empathy, is a good place to start,” says Kwang. Q: As a regional CEO, do you champion gender diversity across the organisation? A: I think we are doing a relatively better job now, but there’s still room for improvement. In Asia, we are probably doing a little better than Europe, and to some extent the US. We also hire from universities and colleges and that actually makes our composition very even. In some situations, we have more women than men, so I think at least at the entry level, everyone has equal opportunities. As we progress, then you see more women dropping out for all the different reasons that we have mentioned. Still, at the board level globally, we have 30% female representation, which is better than the industry average. I also just want to add that diversity goes beyond gender, and also calls for different sexualities, the disabled, and more. We have a lot more that we can do to embrace these individuals. And if we want to be the best employer, then we have to do that. Q: As an organisation, are you providing more flexible working options for women? A: We have flexible working hours, and I think that technology is a great enabler of that. With mobile devices, we now can work from anywhere, everywhere. I can take a conference call from home. I can do my approvals from anywhere in the world. I don’t have to be in the office – the only time would be when I have to have face-to-face conversations with clients, and sometimes with my team. The lines have become so blurred because of technology. I can’t say that from 8:00am to 8:00pm it is all work and nothing else, and then beyond that, it is all family and nothing else. It’s no longer about work-life balance. It’s about work-life integration. I think that’s really important. Q: Speaking of technology, you’ve launched a trading robot that speeds up a lot of existing processes. What does this mean for employees? A: We are actually still growing and adding headcount. It’s a big thing because this is what I spend half of my time on: how we attract, retain, and develop talent. And that’s because we need more of them, not less. We still need technology because it enhances our productivity. It is also about capturing opportunities that were not possible beforehand. 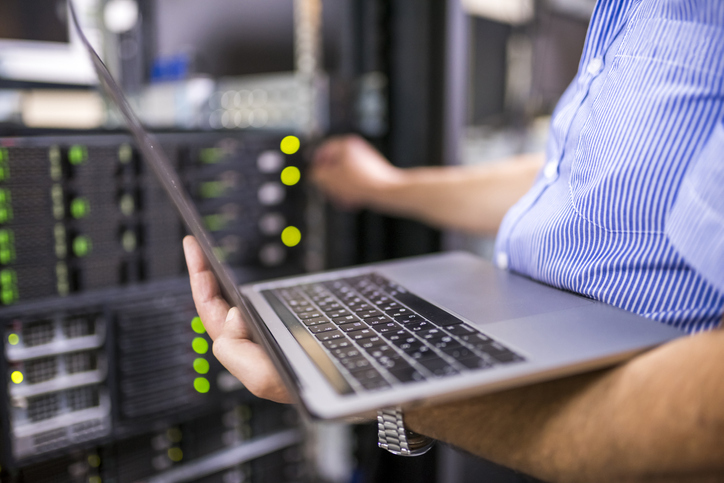 The technology is not there to replace people – it just frees up capacity so that we can do even more high-value activities. We spend over US$9 billion a year on technology. One third is on innovation, the other two-thirds are for maintenance. People these days think financial technology companies are the ones that have a lot of technology. Banks have a lot too. It’s just that there was not as much user interface for a long time, it was more behind the scenes. For example now with trading, we are using big data, and adopting artificial intelligence and robotics to help us in some analytics, investment management, and trading patterns. But we still have people to do that. Q: Moving forward, what other areas will you focus on? A: I think one of our biggest challenges will continue to be how we work with millennials. We focus a great deal on training and development. We have very comprehensive and structured training programmes for our analysts who we hire from universities and colleges. But as we get progressively more senior, the trainings will become very different – a lot of on-the-job and less structured training. Leadership development is really important, but really hard at the same time. We’re spending a lot of time on that now because the scalability of that is even more significant. Part Two of our exclusive interview with Kwang Kam Shing, JP Morgan Private Banking’s Asia CEO, can be found here. New year, new HRM Five! In this edition, we talk new year's resolutions for the HR set. SG$1 billion has been earmarked in Singapore's budget for the coming year to help companies transform, and $3.6 billion to help workers.